Marriage-Notice* 20 Jun 1951 Former Councillor Engaged. [S35] Probate Records, PROV (Public Records Office Victoria), VPRS 28/P4, unit 3437; VPRS 7591/P3, unit 583. [S218] Newspaper - The Dandenong Journal (1927-1954) "20 Jun 1951, p7." [S218] Newspaper - The Dandenong Journal (1927-1954) "6 Sep 1944, p2." Death-Notice* 16 May 1955 RENFREE.—On May 14, at Rosebud, Alice Barbara, beloved wife ot the late Henry, and loving mother of George (deceased), William (deceased). Alice (Mrs. Martin), Beatrice (Mrs. Aitken), Enid (Mrs. Brydon), Jessie (Mrs. Alexander), and Percy, aged 94 years. RENFREE.—The Friends of the late Mrs. ALICE BARBARA RENFREE, of Jetty road, Rosebud, are notified that her Funeral will leave our parlors, Walker street, Dandenong, TOMORROW (Tuesday), after a service to commence at 11 a.m., for the Dandenong Cemetery. [S1] Registry of Births Deaths and Marriages Pioneer Index Victoria 1836-1888 "#M4604." [S185] Property Titles. 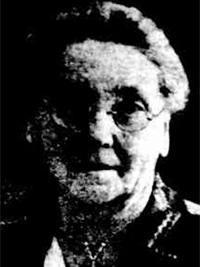 ; PROV (Public Records Office Victoria), C/T 2280-974 - Alice Barbara Renfree wife of Henry Renfree of Robinson Street Dandenong Wood Merchant. [S185] Property Titles. ; PROV (Public Records Office Victoria), C/T 2280-974 - Mortgage No 153366 - Philip David Phillips - discharged 7 Mar 1907. [S185] Property Titles. ; PROV (Public Records Office Victoria), C/T 1105-923 - John Crook of Upper Beaconsfield Orchardist. [S185] Property Titles. ; PROV (Public Records Office Victoria), C/T 2280-974 -David John Davies Bevan of Albert Street East Melbourne Barrister-at-law - C/T 2864-628. [S11] Newspaper - Argus 16 May 1955, p13. [S101] Electoral Roll for Australia, 1903 - 1980 "listed 1937, 1942." 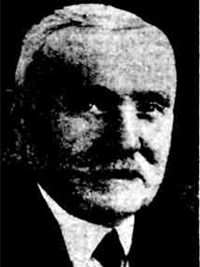 Death-Notice* 2 May 1924 RENFREE.—On the 3rd May, Henry Renfree, of Kirkham road, Dandenong, the beloved husband of Alice Renfree, loving father of George, William, Alice, Beatrice, Enid, Jessee, and Percy, aged 78 years. Officer for many years of the Dandenong Shire Council an the State Water Commission. 25 Feb 1903, Clearing Sale. UPPER BEACONSFIELD. MONDAY, MARCH 2. Joseph CLARKE & Co have received instructions from Mr H Renfree, to sell by auction .... implements, household furniture, etc., as under. 4 cows 1 medium draught mare, splendid worker 1 buggy horse. Double seated buggy, pole and shafts, old spring cart, single and double harness, cart harness, side saddle, iron plough, Oliver plough, set harrows, Bentall's chaffcutter, grindstone, wheelbarrow, 400-gal tank, No. 8 Douglas force and lift pump, 12ft. piping. FURNITURE. Single and double bedsteads and bedding, wash stands and ware, hall table and chair, writing desk, stove (new), large kitchen dresses, overmantle, chairs, tables, wooden washing tubs, tools, and sundries of all descriptions. On account of owner. 1 piano (in perfect order) 4 cane easy chairs, 3 chairs (upholstered), double bedstead (nickle and black), wire mattress, kapok mattress, 4 pillows pictures 2 large Japanese rugs 1 pair oriental hall curtains (heavy) 2 pairs Madrass muslin curtains 1 pair Japanese curtains 1 flower stand 2 rolls Japanese matting 1 sewing machine 2 sets buggy harness 1 buggy pole and pole straps, wheel barrow, axe, tools, and sundries. Sale at two o'clock sharp. [S185] Property Titles. 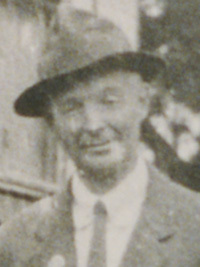 ; PROV (Public Records Office Victoria), C/T 2537-245 - James Henry Renfree of Beaconsfield Fruit Grower. [S185] Property Titles. ; PROV (Public Records Office Victoria), C/T 2537-244 - James Henry Renfree of Upper Beaconsfield Wood Merchant. [S185] Property Titles. ; PROV (Public Records Office Victoria), C/T 2537-245 - Lilian Frances Paddle, the wife of Herbert Robert Paddle, of 11 Holden Street Fitzroy, Boot Manufacturer. [S185] Property Titles. ; PROV (Public Records Office Victoria), C/T 2537-244 - Lilian Frances Paddle, the wife of Herbert Robert Paddle, of 11 Holden Street Fitzroy, Boot Manufacturer. [S11] Newspaper - Argus 2 May 1924, p1. [S14] Newspaper - Victoria Police Gazette, 14 Jun 1899, p192. [S11] Newspaper - Argus 14 Nov 1902 p7. [S12] Newspaper - South Bourke and Mornington Journal 25 Feb 1903, p2. [S11] Newspaper - Argus 5 Dec 1903, p9. Village Bell* May 1979 The article reads: TWO MEN LOST. Those who have lived in this district for some decades mourn the loss during the past month of two personalities, Perc Renfree and Norm Lawson. Also in his late 70's, Perc Renfree was an orchardist at Dewhurst, moving to Stoney Creek Road when his property was acquired for the Cardinia Reservoir project. A Changi P.O.W., Perc was a stalwart until ill-health overtook him some months ago and he was hospitalised in Melbourne. Death-Notice* 1 May 1979 RENFREE. — On April 29, at R. G. H. Macleod, Percy Thomas, of Upper Beaconsfield, dearly loved husband of Kathleen, loved father of Pat and Babs, loved father-in-law of John and John, pa of Paul, Tim and Fiona, Sue and David, Kerry and Chris. Safe journey home. [S15] Newspaper - Village Bell "Jul 1978, p6." [S2] Registry of Births Deaths and Marriages Federation Index Victoria 1889-1901 "#B2621." [S30] Nominal Roll, Australian War Memorial - WWII, http://www.ww2roll.gov.au/, birth date: 12 Jan 1901. [S185] Property Titles. ; PROV (Public Records Office Victoria), C/T 7750-062 - Percy Thomas Renfree of Dewhurst via Beaconsfield Upper Orchardist. [S185] Property Titles. ; PROV (Public Records Office Victoria), C/T 7750-062 - subdivided into Lots 1 to 7 - see C/T 8327-006 to 8327-012. [S5] Registry of Births Deaths and Marriages Death Index Victoria 1921-1985 "#D9694 age 78." [S15] Newspaper - Village Bell "May 1979, p4." [S16] Newspaper - The Age 1 May 1931, p31. [S185] Property Titles. ; PROV (Public Records Office Victoria), C/T 8407-562 - Kathleen Marguerite Renfree of Stoney Creek Road Upper Beaconsfield Widow is now the surviving proprietor. [S131] Electoral Roll for Australia, 1931 "as Kathleen Margaret." [S134] Electoral Roll for Australia, 1934 "as Kathleen Margaret." [S136] Electoral Roll for Australia, 1936 "as Kathleen Margaret." [S137] Electoral Roll for Australia, 1937 "as Kathleen Margaret." [S142] Electoral Roll for Australia, 1942 "as Kathleen Margaret." [S149] Electoral Roll for Australia, 1949 "as Kathleen Margaret." [S154] Electoral Roll for Australia, 1954 "as Kathleen Margaret." [S167] Electoral Roll for Australia, 1967 "Kathleen's address as Upper Beaconsfield." [S2] Registry of Births Deaths and Marriages Federation Index Victoria 1889-1901 "#B26646." [S5] Registry of Births Deaths and Marriages Death Index Victoria 1921-1985 "parents in index are wrong - they are her husband's parents." 7 Mar 1918, Wedding. -o- A wedding of local interest was celebrated on Wednesday evening week, the 27th February, at the Methodist Church, Dandenong, by the Rev. 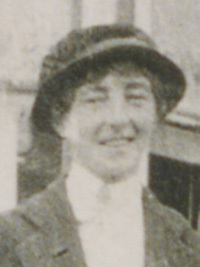 Birch Roberts, when Miss Enid Renfree, the third daughter of Mr and Mrs Harry Renfree, of Bangholme road, Dandenong and Mr Percy Raymond Brydon, eldest son of Mr P. Brydon, of Officer, but late of Dandenong, were the principals. The bride was attired in a very tasteful tailored costume in a pretty shade of fawn cloth, hat to tone, and carried a handsome posy of white rose, water lilies and fern. Miss Jenny Renfree (sister) was bridesmaid, and wore a nice coat frock of brown tresine and a smart velvet hat, and her posy was composed of pretty pink roses and tiger lilies, with small ferns. [S2] Registry of Births Deaths and Marriages Federation Index Victoria 1889-1901 "#B2498." [S5] Registry of Births Deaths and Marriages Death Index Victoria 1921-1985 "#D20953 (Age 82)." Marriage* Oct 1914 Spouse: Bridget Mary 'May' Costello. VIC, Australia, #M11015. [S35] Probate Records, PROV (Public Records Office Victoria), VPRS 28/P3, unit 4901; VPRS 7591/P2, unit 1445. [S1] Registry of Births Deaths and Marriages Pioneer Index Victoria 1836-1888 "#B12284." [S185] Property Titles. ; PROV (Public Records Office Victoria), C/T 3199-745 - William Henry Renfree of 27 ..ent Street Glen Iris Publilc Servant. [S185] Property Titles. ; PROV (Public Records Office Victoria), C/T 3199-744 - William Henry Renfree of 27 Vincent Street Glen Iris Public Servant - C/T 6408-406. [S185] Property Titles. ; PROV (Public Records Office Victoria), C/T 3199-745 - Harold Joseph Prentice Optician and Mary Constance Prentice Married Woman both of 17 High Street Prahran - joint proprietors - C/T 7006-171. [S185] Property Titles. ; PROV (Public Records Office Victoria), C/T 6408-406 - Harold Joseph Prentice Optician and Mary Constance Prentice Married Woman both of 17 High Street Prahran - joint proprietors - C/T 7006-170. [S11] Newspaper - Argus 24 Jun 1949, p9. Death-Notice* 13 Sep 1966 MARTIN.—On September 11th at Prince henry's Hospital, Alice Mary of 66 Ardrie Road, East Malvern (formerly of Rosebud and Dandenong), dearly beloved wife of the late George Wilson, aged 82 years. MARTIN.—On September 11th, Alice Mary, daughter of the late James Henry and Alice Renfree, beloved sister of George, William, Beatrice (all deceased), Enid (Mrs Brydon), Jessie (deceased) and Percy Renfree. [S1] Registry of Births Deaths and Marriages Pioneer Index Victoria 1836-1888 "#B16164." [S50] Miscellaneous Source, AIGS Cemetery Index death date 11 Sep 1966. [S16] Newspaper - The Age 13 Sep 1966, p17. [S1] Registry of Births Deaths and Marriages Pioneer Index Victoria 1836-1888 "#B2405." [S3] Registry of Births Deaths and Marriages Edwardian Index Victoria 1902-1913 "#M1916." [S80] Ancestry - Family Tree, Conolly Tree. [S5] Registry of Births Deaths and Marriages Death Index Victoria 1921-1985 "#D14497 (Age 75) - as AITKEN." [S22] Victorian Government. BDM Index Victoria (online) "#D26106 birthplace Dandenong." [S185] Property Titles. ; PROV (Public Records Office Victoria), C/T 8407-562 - Kathleen Marguerite Renfree died on 6/11/86. Probate of her will has been granted to Irene Patricia Molyneux of 24 The Strand Williamstown & Barbara Ann Ryan of 11 Alto Ave Croydon. [S35] Probate Records, PROV (Public Records Office Victoria), VPRS 28/P17, unit 16; VPRS 7591/P13, unit 2. [S61] Upper Beaconsfield History Archive ,"from Harry Burton Interview Sep 1989." [S36] Inward & outward passenger lists to and from Victoria. Series: VPRS 14; 7666; 7667; 7786); PROV (Public Records Office Victoria), B867 002. [S11] Newspaper - Argus 1 Apr 1921, p1. [S83] Online index to the UK census "1891 census: Parish: Ayton; ED: 3; Page: 6; Line: 9; Roll: CSSCT1891_375." [S83] Online index to the UK census "1901 census: Eyemouth; ED: 1; Page: 44; Line: 6; Roll: CSSCT1901_414." (Mentioned) Village Bell Oct 1983 The article reads: "STONYCROFT" stood on the north-east corner of the intersection of Split Rock and Berglund Roads. We are indebted for information to Mrs. Susan Pitman, the recent resident, and to Mr. Larry Osborn of Nar Nar Goon North, who has photographs taken when the house and garden were looking their best. [S5] Registry of Births Deaths and Marriages Death Index Victoria 1921-1985 "#D19317 age 79 [par Charles OSBORN & Emily Frances JONES]." [S185] Property Titles. ; PROV (Public Records Office Victoria), C/T 3936-023 - Mortgage to Ray Penery Osborn. possible parent's marriage: David HARRIS & Elizabeth JONES at Neath Jun Q 1885 11a 898." [S3] Registry of Births Deaths and Marriages Edwardian Index Victoria 1902-1913 "birthplace given as Liverpool." [S14] Newspaper - Weekly Times (Melbourne, Vic. : 1869 - 1954), Sat 18 Jun 1938, p50. 15 Dec 1908, TRADE PICNICS. 31 Oct 1912, SATURDAY. 23rd NOVEMBER. At Half-past 3 o'clock. Lower Beaconsfield. At the CARDINIA PARK HOTEL, CARDINIA, About 2½ miles from Berwick and 1½ miles from Lower Beaconsfield. SUBDIVISIONAL SALE OF MR JOHN PAYNE'S PROPERTY, Situated at CARDINIA, Containing ABOUT 500 ACRES OF LAND. To be Subdivided into Seven Lots, from 30 to 196 Acres. That Very Fine Property, containing about 500 acres of land, subdivided into seven lots, which will include the Cardinia Park Hotel and about 2 acres of land, and also Mr Payne jun's homestead, which is in splendid order, and about 196 acres of land. Portion of this land is fit for agriculture and dairying, and the balance of the land would make splendid blocks for week end homes and orchard blocks. There is a good rise from the agricultural lands to the undu lating slopes, which are admirably suited for building allotments or week end homes, and commanding a splendid view of the whole of the surrounding district. The heights of Beaconsfield have been renowned for many years as being one of the chief health resorts of Victoria, and we would strongly recommend an inspection of this property to those who are desirous of buying week end homes in this favored locality. Also, CARDINIA PARK HOTEL, containing nine rooms, including large diningroom, 5 bedrooms and kitchen and outbuildings, large stable and yard for the recep tion of motor cars, etc., and orchard of about one acre. The HOMESTEAD BLOCK, containing 196 ACRES, consists of a new W.B. villa of 8 rooms, comprising diningroom, 5 bedrooms, large kitchen; outbuildings, consisting of large stable, 4 loose boxes, 20-bail cow shed (bricked), practically new, in splendid order, together with cooler and feed room, splendid loft, which will hold a large quantity of fodder, 2 underground tanks and others. LIBERAL TERMS-UP to 5 YEARS namely, 20 Per Cent. Cash, 20 Per Cent. in Two Years, and the balance in 5 Years. Plans on application. 3 Aug 1938, Mr. John Payne. The death occuried yesterday of Mr John Payne at his home in Athelstan road, Camberwell. He was aged 82 years Mr Payne was the founder of Payne's Bon Marche, Bourke street. Born at Baltimore, County Cork, Ireland, Mr Payne, at the age of 12 years, began work as a draper's assistant. In 1875 he came to Australia in the sailing ship Barthanope. He was employed in a store in Melbourne for several years. In 1878 he opened his first business in the city. 4 Aug 1938, Mr. John Payne. Many friends and representatives of Melbourne business interests attended the funeral of Mr. John Payne in the Church of England portion of the Melbourne General Cemetery yesterday. There were more than 600 present at the graveside, and two floral cars were needed for the many wreaths. Mr. Payne, who was aged 82 years, was the founder of Payne's Bon Marche, Bourke street. He died at his home in Athelstan road, Camberwell, on Tuesday. The services at his home and at the graveside were conducted by the Rev. R. Fenwick Brown, assisted by the Rev. Roscoe Wilson. Pall-bearers were Messrs. T. C. Alston, A. Campbell, T. Currie, D. Jones, Urquhart, J. Nettleton, and H. Hall. The chief mourners were Mr. Payne's four sons, Messrs. J. W. Payne, H. J. Payne, N. Payne, and W. H. Payne. [S80] Ancestry - Family Tree, BOGIE (Australia) Owner: bogie1177. [S185] Property Titles. ; PROV (Public Records Office Victoria), C/T 2095-811 The Commercial Bank of Australia Limited to John Payne - C/T 3170-892. [S185] Property Titles. ; PROV (Public Records Office Victoria), C/T 2581-182 - Elizabeth Ann Gregory to John Payne of Bourke Street Melbourne Draper. [S185] Property Titles. ; PROV (Public Records Office Victoria), C/T 2178-445A Ann Milne to John Payne of Bourke Street Melbourne Draper - C/T 3813-546 (Cardinia Park Hotel) - C/T 3481-167 (remainder). [S185] Property Titles. ; PROV (Public Records Office Victoria), C/T 3170-892 transfer from John Payne to John Payne the younger - C/T 3481-167. [S185] Property Titles. ; PROV (Public Records Office Victoria), C/T 2581-182 - John Payne to John Payne the younger of Beaconsfield farmer. [S185] Property Titles. ; PROV (Public Records Office Victoria), C/T 2178-445A John Payne of Bourke Street Melbourne Draper to John Payne the Younger - C/T 3481-167. [S185] Property Titles. ; PROV (Public Records Office Victoria), C/T 3813-546 John Payne of Bourke Street Melbourne Draper to Mary Alicia Dineley of Beaconsfield Married Woman. [S11] Newspaper - Argus 15 Dec 1908, p9. [S12] Newspaper - South Bourke and Mornington Journal 31 Oct 1912, p2. [S11] Newspaper - Argus 26 Nov 1912, p10. [S12] Newspaper - South Bourke and Mornington Journal 4 Dec 1913, p4. [S19] Newspaper - Berwick Shire News and Pakenham and Cranbourne Gazette "1 Apr 1914, p3." [S196] Newspaper - Dandenong Advertiser and Cranbourne, Berwick and Oakleigh Advocate (Vic. : 1914 - 1918) "15 Jul 1915, p2." [S11] Newspaper - Argus 25 Jul 1930, p5S. [S11] Newspaper - Argus 3 Aug 1938, p11.